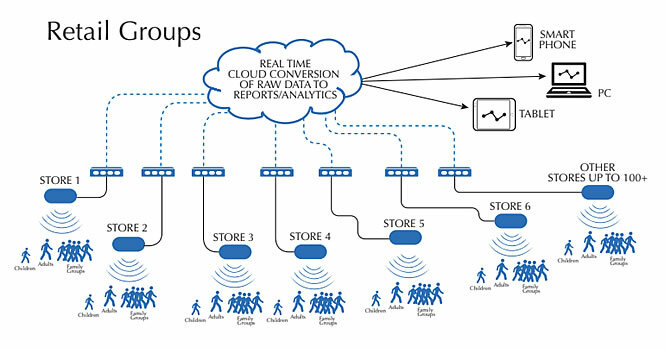 How real-time, cloud based, people counting works to deliver immediate management data worldwide! 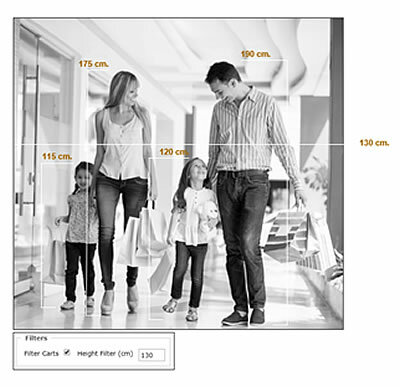 We are often asked how the Cohera-Tech system actually works and how a prospective visitor can appear as a real-time count on a mobile device only 2 seconds after walking through an entrance. The diagrams below show a typical Cohera-Tech Network system - linking independent locations to the cloud and directly to your management dashboard (viewed on any device). The system is able to identify children, adults and Family Groups. The first stage involves advanced 3D sensors that recognise human visitors / prospective customers with a very high degree of accuracy and don’t count shopping trollies, back-packs, suitcases etc. They also are able to recognise and count adults, children and to identify family groups all separately. 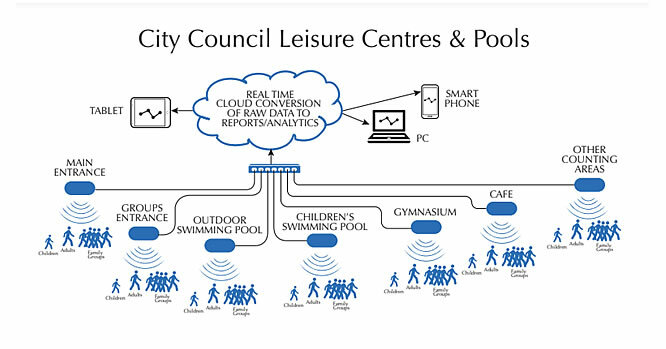 The sensors send data to our cloud based servers via either the local network or 4G mobile broadband with internet connection. The Cohera-Tech system has the capacity to handle hundreds of sensors, operating simultaneously, throughout Australia and New Zealand, for each client. 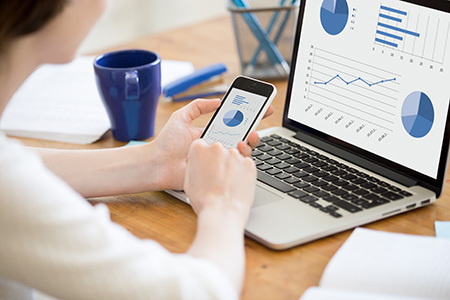 Data can be displayed in real time on fully customisable, easy to understand, dashboards as well as customisable reports for any chosen location, time period and granularity with both graphical and tabulated representations. Cloud Based Secure Software Solution. Our standard suite of professional reports displayed in multiple formats including graphs, bar charts, etc. provides real-time, daily, weekly, monthly and yearly data. These are used by retail groups, libraries, local government assets, Universities and a wide variety of other organisations. Specialised reports, analytics and reporting / alert triggers can be generated and saved by users as required. 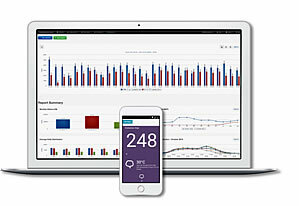 Saved reports with hourly, daily, weekly, monthly and yearly analytics. Comparative data can be run at any time via the web portal or scheduled to be sent automatically via email at a chosen time to your selected Staff. View on PC’s, Tablets and Smartphones. This allows longer term results and indicators to be readily available to management to make informed decisions and to take quick corrective actions and adjustments as necessary. All data is retained in secure customer portals and can be accessed by clients for later analysis using a wide range of reporting options. Could Your Results Have Been Better? Did you have the customer data needed to make management decisions in your business?